What Are the Structural Adaptations of a Butterfly? Butterflies are a diverse group of insects, containing around 20,000 different species. North America is home to more than 700 of these species. Butterflies are aesthetically pleasing and few species cause any damage to commercial plants. Butterflies contribute to thriving ecosystems and can indicate the state of an ecosystem’s health. Butterflies play an important role in pollinating flowers, particularly flowers that have a strong scent, are red or yellow in color and produce a large amount of nectar. Nectar is an important component of a butterfly’s diet. Although butterflies pollinate flowers less efficiently than bees, their role is still useful. Pollen collects on the butterfly’s body as it is feeding on a flower’s nectar. As the butterfly moves on to a new flower, it carries the pollen with it. 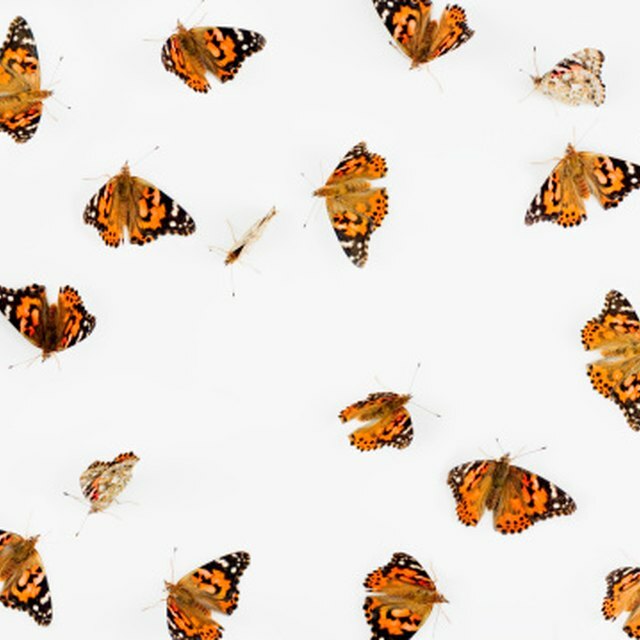 An abundance of butterflies is often an indication that an ecosystem is thriving. This is due to the fact that butterflies are an important component of a food chain, as predators and prey. Adult butterflies and caterpillars are an important source of food for other animals such as bats and birds. Along with nectar, butterflies eat a variety of plants. Some species also provide a natural of form of pest control. For example, the harvester butterfly eats aphids while it is in its caterpillar form. Butterflies are particularly sensitive to climate change. Scientists monitor butterflies as a method of watching for warning signs of the more widespread effects of climate change. 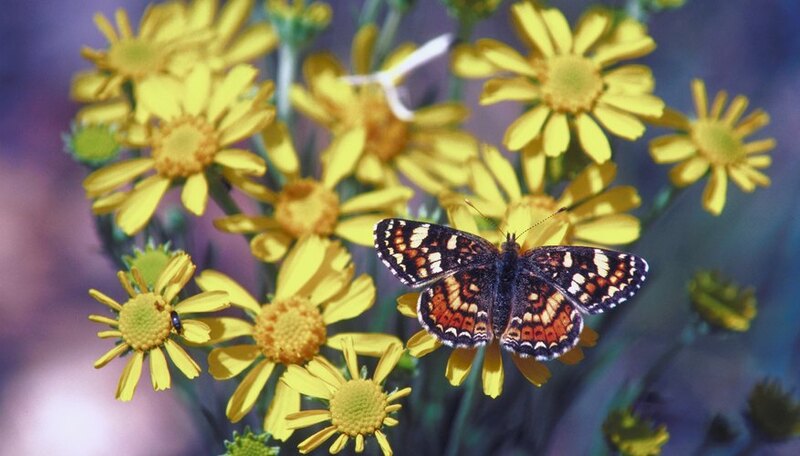 One example of these studies involves monitoring Edith’s checkerspot butterflies in North America. According to the National Academy of Sciences, the distribution of these butterflies has shifted further north and to higher elevations as the result of an increase in temperature. Butterflies provide butterfly enthusiasts with a great deal of pleasure. Like bird watchers, they enjoy spotting rare species. Butterflies also benefit economies by attracting tourists. Areas such as Mexico’s monarch roost benefit from tourism as butterfly enthusiasts travel around the world to photograph the little beauties. As well as being an indicator of climate change, butterflies are also sensitive to other threats such as habitat destruction. Changes in the behavior of butterflies can warn people of the future effects of habitat loss on other animals. As many species of butterflies are highly specialized, individual species can be of particular benefit to science. For example, Europe’s meadow brown butterfly produces a natural antibiotic that may be useful for humans. Ames, Hayley. "Why Are Butterflies Important?" Sciencing, https://sciencing.com/butterflies-important-8749269.html. 25 April 2017.